There have been numerous rumors about the downfall of the ‘athleisure’ phenomenon, but in reality, tales of its demise are greatly exaggerated! Once you wear workout leggings to the gym, you won’t want to turn back! This elastic leg wear not only looks good by helping you achieve a flattering appearance, but it is also incredibly comfortable thanks to the material and moisture-wicking design. Below, we look at 5 of the best workout legging brands on the market and also offer tips on choosing the best pair for your needs. This brand has a huge range, but you need to play detective to find its range of workout leggings because it is located within the ‘Bottoms’ section. Gymshark is constantly cutting its prices to meet customer needs, and it has some excellent options including the Harlequin cropped leggings. They are perfect for summer but help brighten up your day during the winter too. The fabric is soft to the touch and stretches easily, so they are comfortable and supportive. Add in the high-waisted design for extra coverage and the handy concealed pocket, and you have an excellent pair of gym leggings. In fact, most of the Gymshark range features the extra pocket which makes for a convenient location to store your keys while you exercise. You would be forgiven for completely overlooking MyProtein when searching for the best workout leggings because it is known for specializing in protein powders, supplements, and energy capsules, etc. However, it also stocks a wide selection of fitness clothing including gym leggings. While it offers brand name gear on its website, the gym leggings are MyProtein’s version. Its attire is typically far cheaper than companies that specialize in workout clothing, but the quality does not suffer. Even its most basic offering features moisture wicking fabric and a modern & stylish design. For example, its base layer gym leggings regulate body temperature and improve circulation; not bad for a so-called ‘budget’ brand! Underarmour is synonymous with fitness clothing, so it’s no surprise to learn that it has an enormous selection of gym leggings including lots of pairs for men! As always, UA specializes in compression, so its HeatGear men’s leggings are extremely tight and feel like a second skin. The 4-way stretch fabrication ensures freedom of movement and the anti-odor technology prevents you from stinking the gym out! The UA leggings for women are made with the company’s unique Charged Cotton Tri-Blend material to offer improved performance and feel. The Signature Moisture Transport System does an outstanding job of wicking sweat, so you’ll still seem fresh at the end of the session. Few athletic clothing companies combine technology and style as well as UA. This UK-based brand does an outstanding job in competing with the big boys in the athletic clothing niche. It has a great way of workout leggings including Essential Flux and Impact. The former is a simple yet effective design and is made from a mixture of polyester and elastane. It has a stylish 3D logo print and a high-rise waistband to prevent slipping and also to offer some coverage. The Impact leggings provide complete comfort and offer a figure-hugging fit. This brand sells some of the best workout leggings on the market. The MeshLite Tights feature a stretch-fit fabric and multi-mesh paneling, so you keep comfortable and cool whether you train in the gym or outdoors. These tights don’t rise when you exercise, and they keep your body temperature regulated. Physiq Apparel’s Neolite Recon Tights are made from smooth and sleek Lycra. Again, your body’s temperature is regulated by these leggings, and the fabric stretches to hug your figure as you train. As a result, the tights stay in place no matter how vigorous your exercise! Most gym goers have a recurring nightmare; that they hear a ripping sound as they lunge or squat only to find that their exercise pants have torn! It would be a pretty embarrassing situation, even if you remembered to put on your underwear that morning. Fortunately, you no longer have to settle for outdated, inferior quality gym attire. You can easily find the best workout leggings as long as you know your goals. If you enjoy challenging activities such as weight training, boxing or martial arts, you need a set of compression leggings that feel like a second skin. First and foremost, compression clothing provides your muscles with the support they need while you train. Also, the lightweight, breathable, anti-chafing material keeps sweat at bay, allows you to move freely and ensures you don’t carry nasty exercise odors with you! If you plan to train in low light, pick gym leggings with reflective technology, so motorists and cyclists won’t run into you! It goes without saying that comfort is of paramount importance whether you want to practice yoga or lounge around all day. If you plan on wearing your workout leggings for long periods, opt for a fitted style. These bottoms keep their shape when you stretch or bend over, so you look good no matter what you do! If you enjoy exercising outdoors or fancy a hike, look for a relaxed fit. As usual, comfort is important, but you must also focus on freedom of movement and staying dry. A loose fit pair of gym leggings is ideal, especially if they have extra pockets for storing keys and your phone. Ultimately, you no longer have to worry about choosing between style and comfort because both options are possible with the outstanding selection of gym leggings available online. 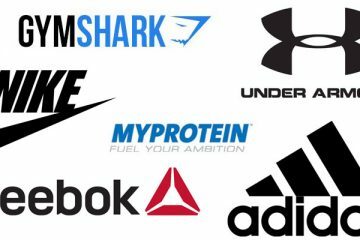 You have hundreds of options, and while we believe the 5 brands we outlined above provide the best gym leggings in the business, there are other excellent choices.